CALUMET — You don’t normally think of going to the dentist’s and the doctor’s at the same time, but the Upper Great Lakes Family Health Center in Calumet is bringing the two together. Their new location features an open bay concept that allows them to integrate medical and dental services. Director of Dental Services Dr. Glenda Reynolds says it’s a fantastic way to be able to provide services. “We can see the doctors across the hall, they can see us and we can share information, do exams across the hallway, talk about conditions,” Reynolds said. Dr. Reynolds is teamed up with Dr. Kristina Welle to provide oral health care to an underserved community. The new Calumet Family Health Center also provides opportunities patients didn’t have before. 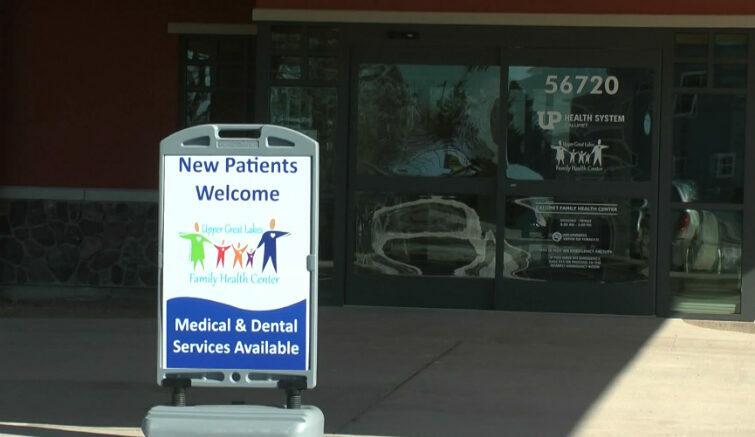 The center provides a trio of services-dental, medical and behavioral health-and does so regardless of the patient’s ability to pay.